In celebration of our 40th Anniversary in 2016, we introduced a tea infusion of pure indulgence. 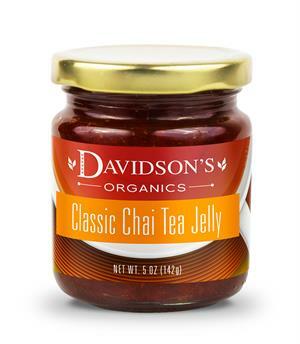 Using three simple ingredients – our organic tea blends, organic cane sugar and pectin – we’ve created the ultimate pastry pairing. Davidson's Classic Chai Tea Jelly can be compared to that of pumpkin butter, and would be the perfect addition to any celebratory feast. 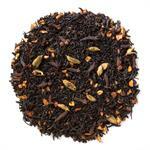 The black tea and spicy base best complements breads, meats and cheeses. 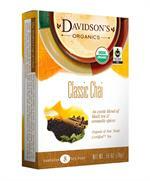 Davidson's organic classic chai black tea, organic cane sugar and pectin. Serve with your favorite festive dish!